Coronado Brewing Company released this limited edition beer to support a grassroots non-profit organization. A special edition ale asked for a special beer bottle design. I created this design to be screen printed on the 22oz. 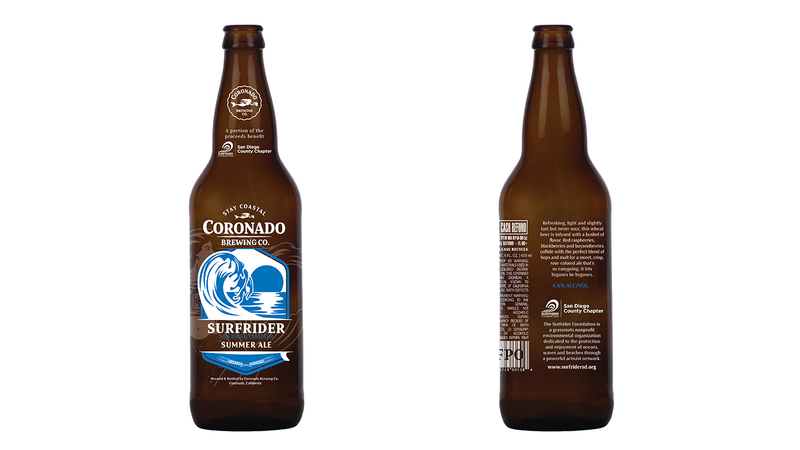 bottle of the Coronado Brewing Company Surfrider Summer Ale.